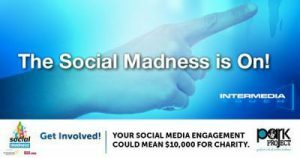 Intermedia Touch is gearing up to take part in this year’s Social Madness Contest through the South Florida Business Journal. This contest measures social media stats of Facebook likes, Twitter followers, LinkedIn connections, and Google+ followers of participating businesses. Each business competes against each other to achieve the highest measureable growth in all categories with the goal of taking him bragging rights and a charitable offering. The winning business of this contest will receive $10,000 to give to a charity of its choice. In 2012 the contest had over 4,000 companies participating garnering three-quarters of a million votes, 14 million new Facebook likes, 2.2 million Twitter followers, and more than 202,000 LinkedIn Connections. If Intermedia Touch wins the Social Madness Contest it will give the $10,000 prize to PARK PROJECT. When asked “why did you chose Park Project as your charity?” President, Cristina Miller said “The choice was easy and without hesitation. Park Project is an amazing non-profit organization setting out to make a local and national difference, one act of kindness at a time”. PARK Project is a non-profit organization that is spreading the worldwide message to Perform Acts of Random Kindness. Park Project is volunteers dedicated to facilitating opportunities for people, companies and organizations to unite in support of this project. It is our mission that this action statement inspires and empowers people of all ages, capabilities and resources to PARK, says Marly Quincoces, co-founder. She also said “Our vision is to live in a world where people actively respond to their inner desire to be kind”. 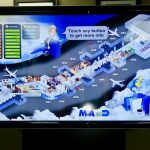 Intermedia Touch is a provider of award-winning interactive software applications and innovative hardware solutions that has provided services for distinguished clients such as Florida International University, Miami Children’s Hospital, Miami Marlins, and Seminole Casino Coconut Creek, to name a few. 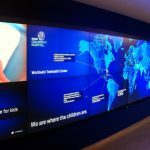 With a product portfolio of custom interactive touch-screen solutions that is as impressive as its clientele list, Intermedia Touch is your source for everything interactive. Please if you would like to support and help a good cause, engage with us on our social media channels!